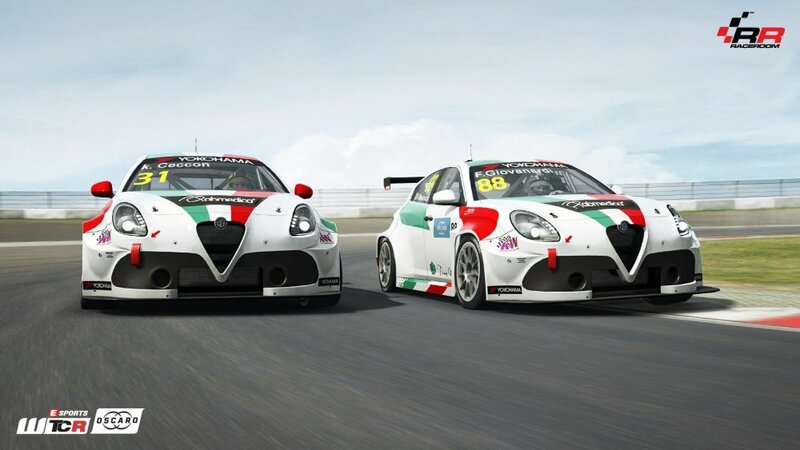 Con l'annuncio che potete leggere integralmente qui sotto, il team Sector3 annuncia un nuovo torneo eSport online ufficiale per il suo RaceRoom Racing Experience: questa volta si tratta dello spettacolare FIA WTCR 2018, il mondiale turismo che si disputa da quest'anno con regolamenti e vetture di categoria TCR. Dal 10 al 12 maggio si svolgerà un "prologo" del torneo sulla pista del Nurburgring, con l'Audi Sport RS 3 LMS TCR, prima ed unica vettura TCR per ora disponibile in game. 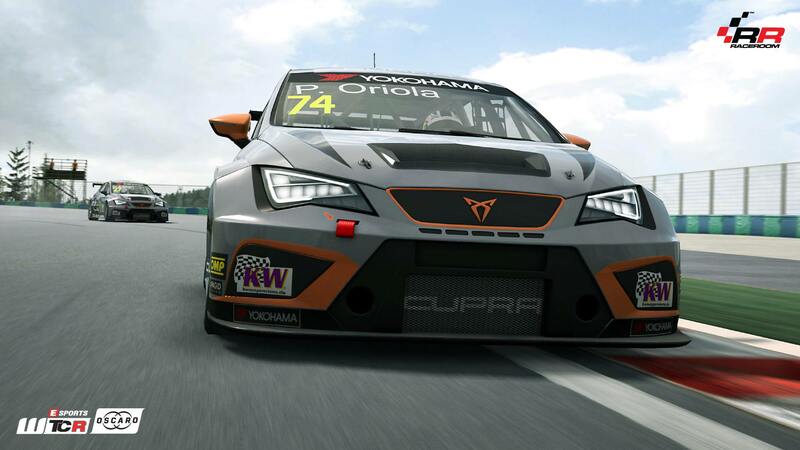 The FIA WTCR / Oscaro 2018 is coming to RaceRoom - and it kicks off with a 25.000€ Esports WTCR Launch Event at the Nürburgring. Do you want to get a first taste of WTCR in RaceRoom? You can drive the first car, the Audi Sport RS 3 LMS TCR, right now! 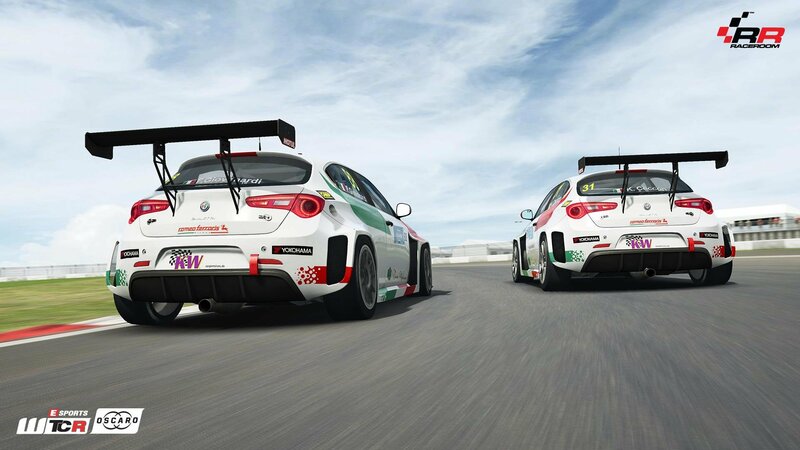 It’s all change for the 2018 WTCR – FIA World Touring Car Cup. A brand new name, a large number of new cars, an updated race format that promises even more action and a big field of strong drivers, looking more competitive than ever. But when it comes to virtual racing, there will be consistency. 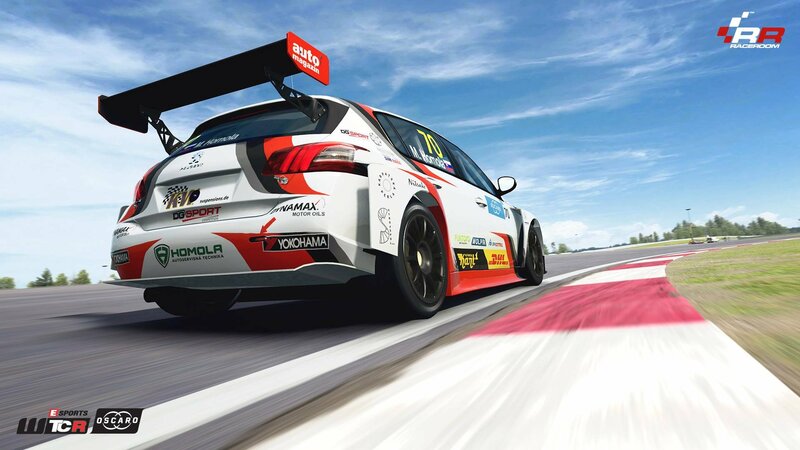 Eurosport Events, RaceRoom and Sector3 Studios are happy to announce that they continue their partnership, and that the FIA WTCR 2018 will come to RaceRoom along with a huge Esports WTCR campaign, in cooperation with the Nürburgring and KW Suspensions. 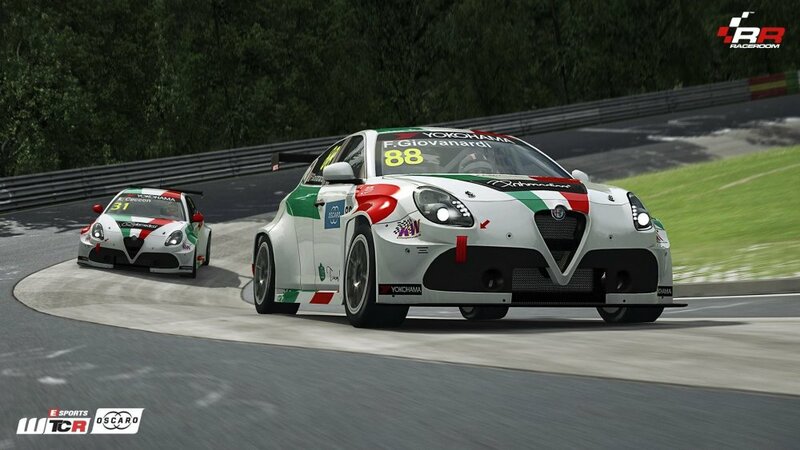 RaceRoom and Eurosport Events already had a successful partnership in past years, with the FIA WTCC being represented in the racing simulation starting from the 2013 season to 2017. 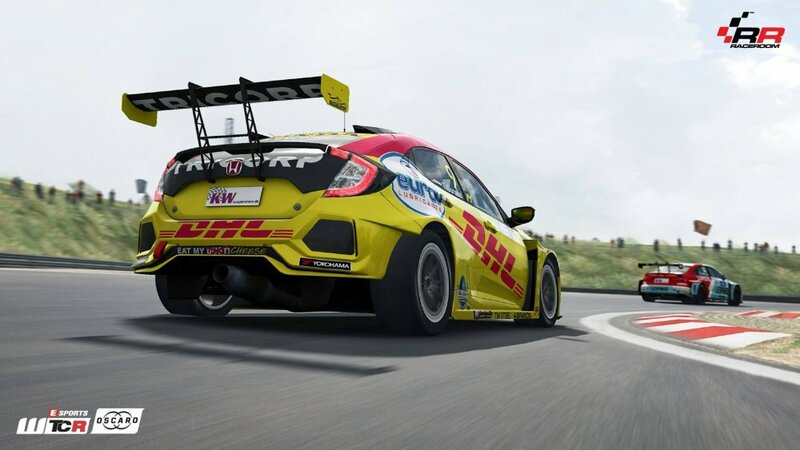 Last year, the inaugural eSports WTCC was run as an online championship, with German simracer Alexander Dornieden taking the title, and even securing himself a place in the Race Of Champions. 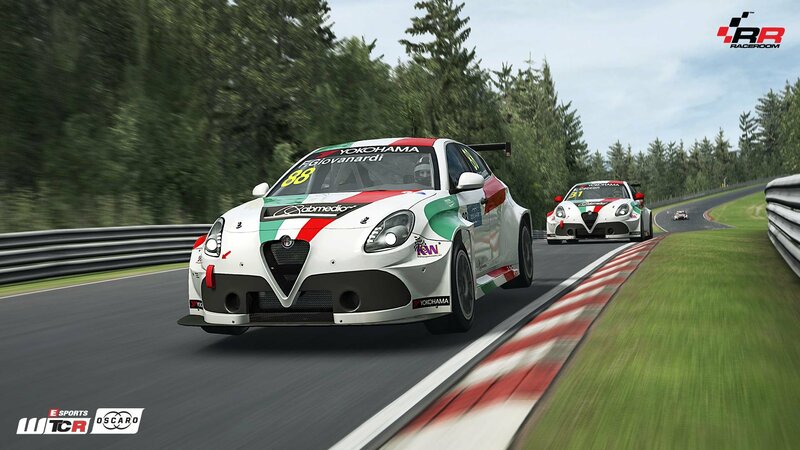 The Nürburgring and RaceRoom have also been cooperating for a long time, with the iconic Nordschleife featured in RaceRoom and the RaceRoom Café as a popular location on the ring°boulevard. 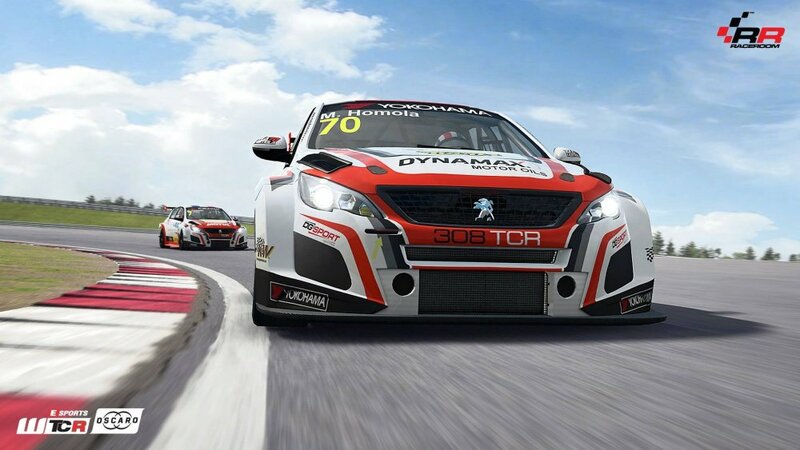 This year, the stakes are raised for the Esports WTCR. It all kicks off in the ring°arena at the Nürburgring with the Launch Event. Qualifiers will be held on-site on May 10th and 11th, where all gamers and simracers are invited to push the WTCR cars to the limit, beat the real WTCR drivers and qualify for the races on May 12th, which will be broadcasted live online. For spectators, entry is free at the venue. A large amount of drivers will have the opportunity of competing against similarly skilled drivers and winning their share of the 25.000€ prize pool, due to the division model and a big prize split, where over 80 drivers will receive prize money. 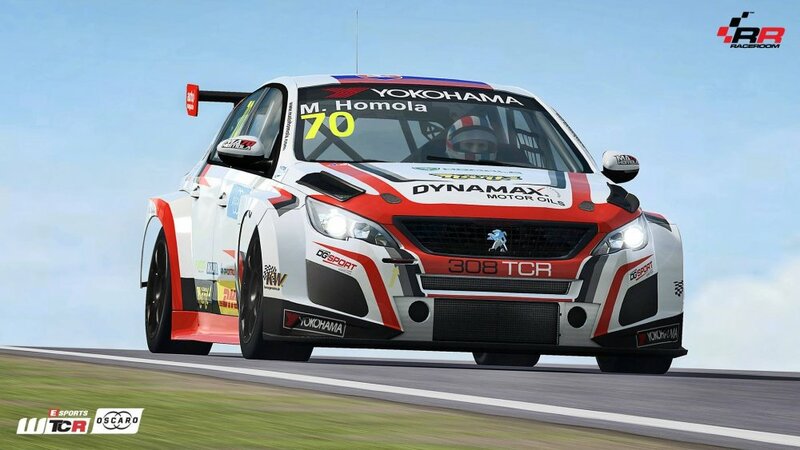 Do you want to get a first taste of WTCR in RaceRoom? Are you ready to start practicing for the event? You can drive the first car, the Audi RS 3 LMS TCR, right now! You can join an exclusive time attack competition here. More news and updates on the cooperation and the event will follow on the upcoming days. A questo link i dettagli sull'evento. A total prize pool of 25.000 € will be handed out, in cash prizes, for the best performing drivers. Prizes will be handed out on the leaderboard as well as in the multiplayer races, and at least 80 drivers will drive in the races in four divisions, and recieve prize money. And the best part: You can qualify for the races on-site at the Nürburgring. No pre-selected elite group – Anyone can enter! On the same weekend, the real FIA WTCR will race at the Nürburgring, so the real WTCR drivers will compete in the competition, too. And of course, on the same weekend, there is the 24 hours race, which drew in over 200.000 spectators last year. You can be sure that a huge crowd will be there and you can enjoy a very special atmosphere. Represent simracing in front of the world, compete against fellow simracers of a similar skill level, and win cash! This in not an online race! The ring°arena at the Nürburgring will be the host for the inaugural Esports WTCR event. And we are not messing around. 48 Simulators will be ready and waiting for you. You can come to the arena, and you can be the star of the show when you compete against fellow simracers and the real WTCR drivers. Just want to watch? No problem, entry is free for specators. Take a seat and enjoy simracing on the highest level, brought to you by a professional commentary and media team. In addition, the races will be streamed live online. The Esports WTCR Launch Event had everything. World class drivers, intense racing action and a bit of drama. But this was only the beginning of a new Touring Car era in RaceRoom. Stay tuned for more WTCR content in the future as the preparations for the upcoming online season are proceeding! già dai contenuti free to play si capisce sia che il gioco ha potenziale sia che ha enormi problemi e mancanze. secondo me l'unica speranza che hanno di avere un minimo di successo è quella di stabilire un prezzo, magari non troppo alto, per il gioco completo. Alla fine Assetto Corsa è molto migliore e costa anche meno ! Quelli della Kunos simulazioni oltre che bravissimi sono anche fortunati perché i prodotti concorrenti sono dei fail colossali ! 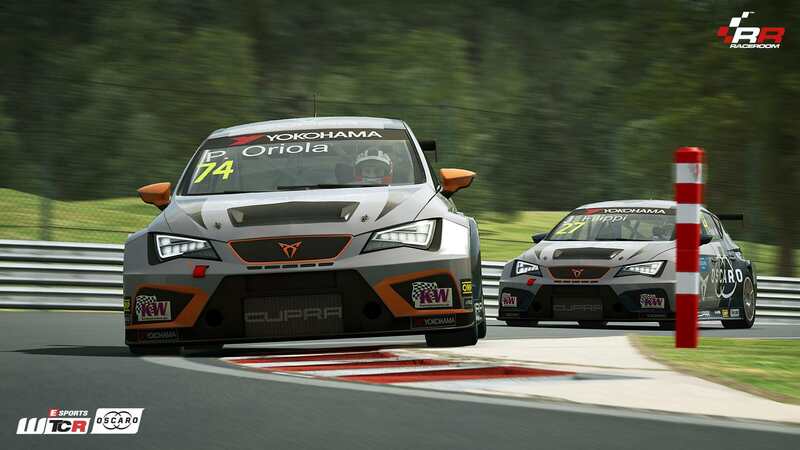 FIA WTCR / Oscaro is coming to RaceRoom in the next patch! Take a look at the Cupras from Zengő Motorsport with Nagy Norbert and Szabó Zsolt, and from Campos Racing with John Filippi and Pepe Oriola! Let us introduce: The Cupra! 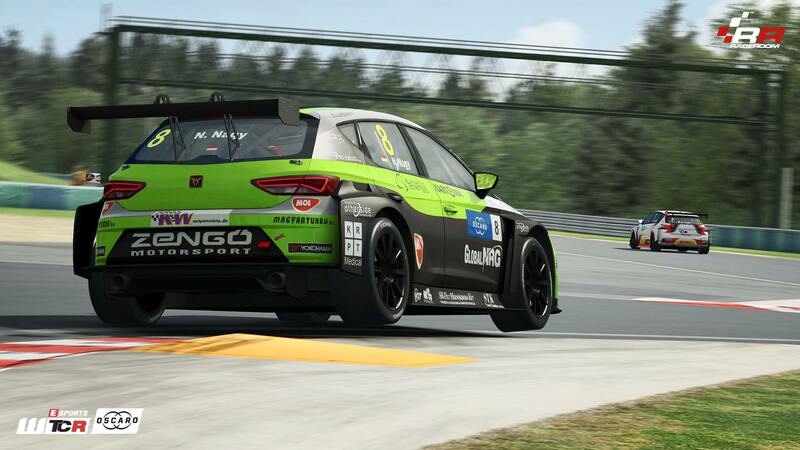 The next brand from FIA WTCR / Oscaro - for the very first time in RaceRoom! The Alfa Romeo Giulietta TCR, developed by Romeo Ferraris and driven by Fabrizio Giovanardi Official and Kevin Ceccon. 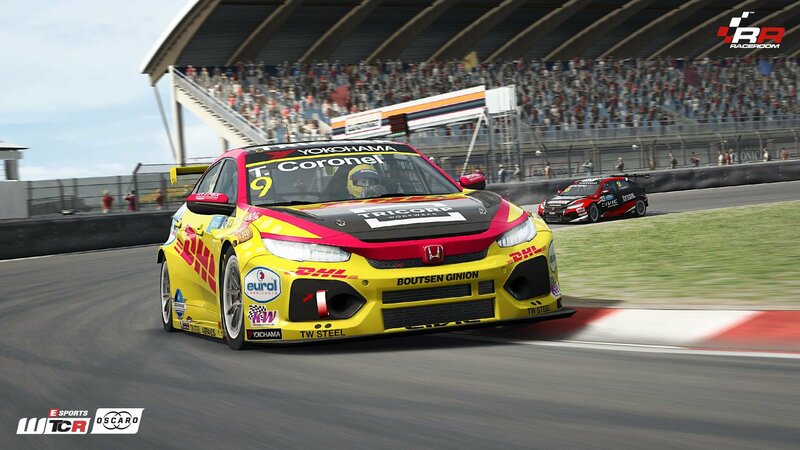 Of course Honda Racing WTCR can't be missing on the grid of the FIA WTCR / Oscaro as well as on the virtual grid in RaceRoom. 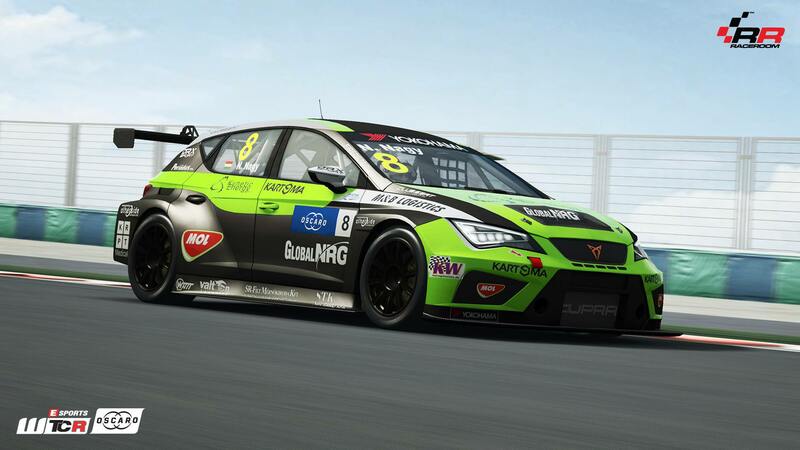 We present the Honda Civic TCR, entered by Boutsen Ginion Racing with Tom Coronel and Benjamin Lessennes and by all-inkl.com münnich motorsport with Esteban Guerrieri, Yann Ehrlacher and James Thompson. 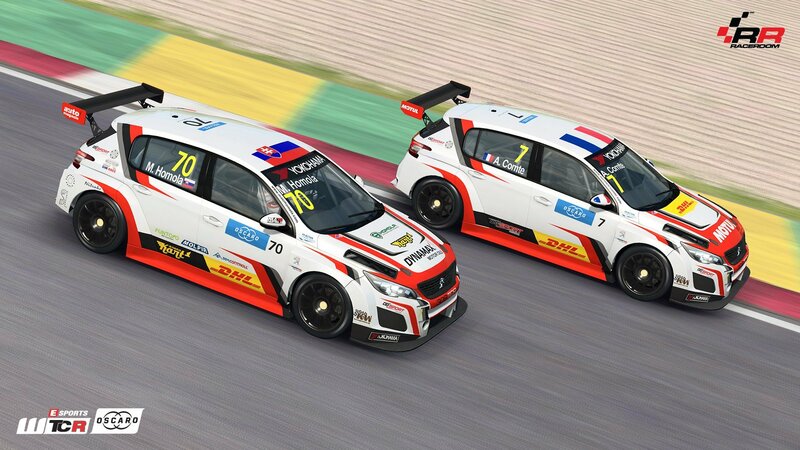 Will you choose the Peugeot 308 TCR for your FIA WTCR / Oscaro adventure in RaceRoom? The cars of DG Sport Compétition with Mato Homola and Aurélien Comte Page will be available.